Rhonda Snodgrass: Although trained from childhood in survival tactics, she tries to stay off the radar of the "cool" kids who think she's weird. 7th grade turns out to be anything but normal when teachers announce the students' bloodless revolution succeeded and they are now in charge. After conducting a secret-ballot vote on policy, the 7th graders emerge to find the school evacuated and the FBI lurking outside with the task of unearthing a treasure of national importance. The students' mission is clear--discover the treasure before the FBI locks down the building. 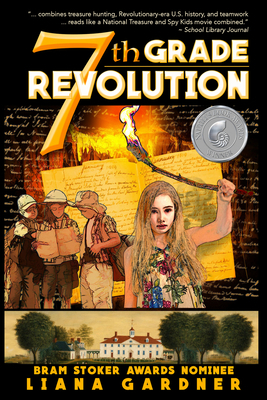 Dennis and Rhonda lead the revolt and must work together to follow century-old clues left by a crazy Revolutionary War buff.